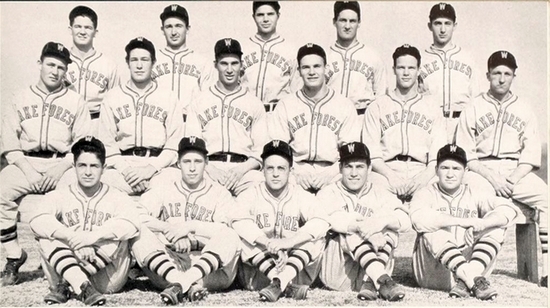 Vivian was an exceptional baseball player at Wake Forest College and had just embarked on a professional career. But military service beckoned before his first paid season was completed. Shortly before graduation, Vivian enlisted with the Marine Corps and, while waiting to be called for service, he signed with the New York Yankees. 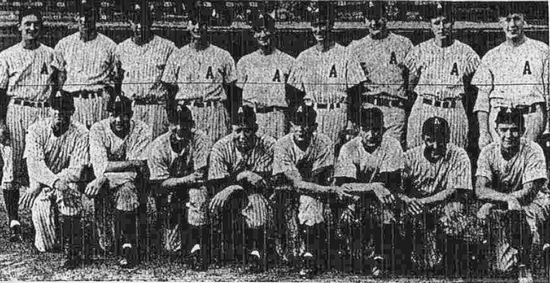 The Yankees optioned the 22-year-old to the Amsterdam Rugmakers of the Class C Canadian-American League, joining the team on June 17, 1942. He made a brief but effective start to his career. On June 21, as the only lefty on the Rugmakers' pitching staff, he beat Quebec in a Sunday afternoon game, shutting them out, 2-0, on just five hits. He shutout Pittsfield on July 2, allowing just four hits in the 2-0 win, striking out five, and beat Oneonta, 13-4, in his last appearance on July 7, striking out eight and allowing six hits. In four appearances he struck out 21 over 35 innings and had an ERA of 2.31. The call from the Marines came in July 1942, and put an end to his baseball career. "Vivian was given a big hand by the fans as this is the last game he will pitch for the Rugmakers," reported the Gloversville and Johnstown Leader-Republican. "He will be hurling for Uncle Sam's Leathernecks next week. He has been ordered to report to the Marine Corps Base at Quantico, Va., before next Sunday." The team threw him a farewell party at the Mllner Hotel in Amsterdam, then Vivian headed home to Summit, New Jersey, before leaving for Quantico. First Lieutenant Vivian was with the division when they landed on the western beaches on July 21, 1944. On the morning of August 1, just nine days before Guam was made secure, Vivian was killed by a Japanese mine while traveling by jeep on the main coast road. His name is inscribed on the Asan War Memorial on Guam. 1. 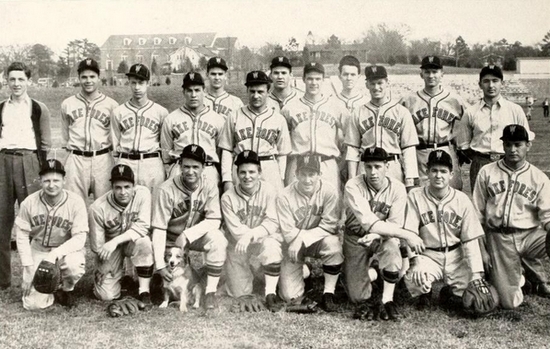 Brydon attended Seton Hall College and signed with the Brooklyn Dodgers in 1941. He batted .330 in 75 games for the Valdosta Trojans of the Class D Georgia-Florida League before entering military service and, like Vivian, he served in the Pacific with the Marines. Brydon was seriously wounded in combat and unable to pursue his baseball career after the war. 2. Arthur Cotterell, "Dreams of the Major Leagues End with World War II," Summit Historical Society, website www.summitnjhistory.org/His- torian vivian.php. Retrieved January 13, 2008. 3. Guam was the largest of the Mariana Islands and a possession of the United States until captured by the Japanese on December 11, 1941.